The Singapore Toy, Game and Comic Convention (also fondly known as STGCC) had always been a must-go event on my list every year. 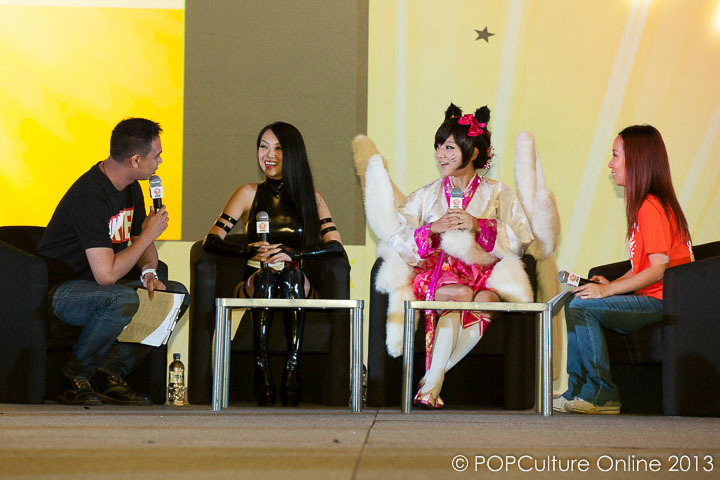 While other events tend to be more geared towards anime lovers, STGCC casts a bigger net, drawing in fans of both Ester and Western pop culture. Also for a cosplayer, this year’s STGCC had also been particularly impressive in the line-up of events prepared for this particular demography. ‘Tales of’ fans were in fanboy/fangirl heaven when STGCC announced the appearance of Hideo Baba, the creator of the highly popular video game series. 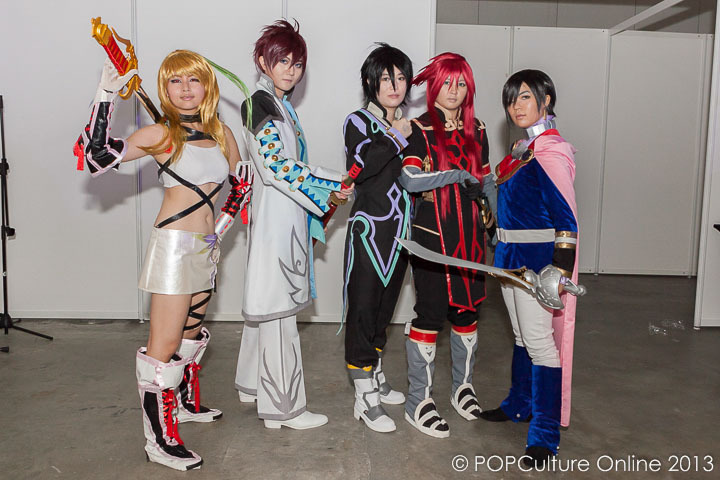 A Tales of Cosplay competition was held prior to the event, where cosplayers submitted photos of themselves cosplaying their favourite characters from the Tales Of series. Only five were chosen to take the stage on 31st August, where they will pose for the crowd so that Hideo Baba could choose the final winner amongst them. On Saturday, the grand prize of a limited edition Playstation 3, engraved with the Tales Of emblem, was awarded to Mei, who cosplayed as Leon Magnus from Tales of Destiny. The other four participants did not walk away empty handed either! They each received a goodie bag which included the limited edition of the game, Tales of Xillia. If I had a costume ready, I would have gone for this too! 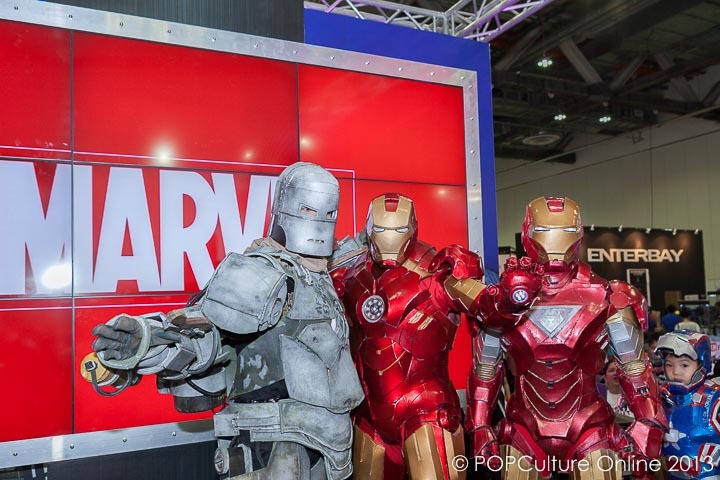 While we are on the topic of highlights at this event, none of us can ignore the presence of Marvel at this year’s convention. Marvel, too, decides that something needs to be done for the die-hard fans who love their works enough to spend hours and hours crafting costumes to pay homage to their characters. The Marvel Cosplay Parade is that something. Cosplayers in Marvel costumes are invited to parade their costumes at the Marvel booth in return for free entry to the convention for both days of the event. The parade took place on Saturday, and included characters such as Miss Marvel, Deadpool, Wolverine, and of course, Iron Man. We saw the most adorable Iron Patriot cosplayer at this parade too! Of course, more than the merchandise and art products, a cosplay convention is also about catching up with old friends and meeting new ones. I managed to say hi to people that I otherwise only see once a year, including friends outside of Singapore. I also got to meet Vampy Bit Me and Aza Miyuko, who were as friendly as they are beautiful in real life. The cosplay panel with the two of them on Sunday, also provided the audience with greater insights into the world of this seemingly strange and incomprehensible hobby. Cosplayers here should also be proud to hear that our guests are extremely impressed by the high level of work done by Singaporeans. According to Aza, unlike in South Korea where it can be rather obvious as to who is good at what they do and who is not, the average level of cosplay in Singapore is so high that she found it difficult to tell. In fact, she had to come to the conclusion that everybody here was just as good. Vampy also talked about how she wished male cosplayers in America would put on make-up when they cosplay. With make-up, the male cosplayers here actually looked like the characters they portray and she found that very amazing. Cosplay in Singapore has certainly come a long way from the days of cosplayers being seen as clowns and circus freaks. Let’s celebrate our love for all things pop culture, in all the ways we do it with, may it be cosplaying, model sculpting, or collecting shelves filled with limited edition merchandise!! 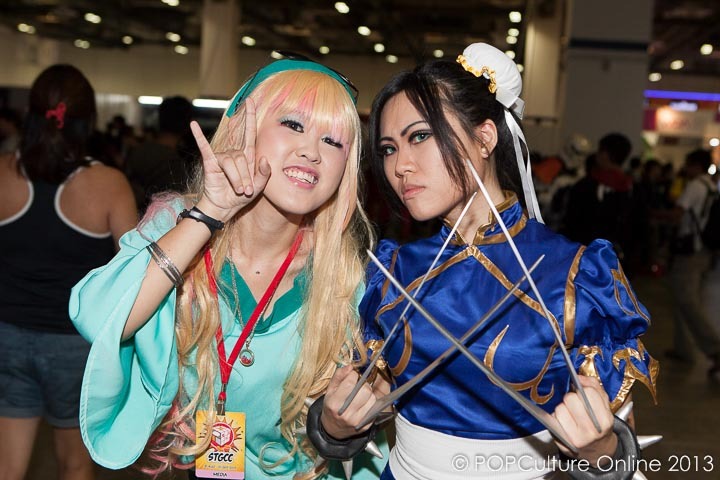 Do also check out our cosplay photo gallery.